Your website is one of your biggest marketing tools. You want it to be responsive, aesthetically appealing, and informational. But, if it has been a while since anything has been updated on your page, maybe now is the time. Talk things over with your marketing team and see what your options are for improving this important part of your business presence. 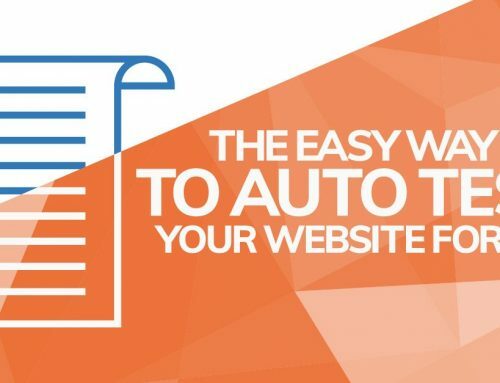 If your website is old and boring, there probably won’t be any traffic flowing to it, and if there is no traffic, you aren’t utilizing the best online marketing tool! Why even have a website if no one is seeing it and it isn’t bringing you any customers? Investing in a website upgrade from a professional marketing team will be money well-spent. Change is always good! Besides, there is no definite recipe or plan for getting more customers to your website, so you can have fun with it while still utilizing popular and functional marketing techniques. If you are late to the online marketing scene and you think your website is still out of the loop, talk to your marketing team about hiring a blogger! Posting bi-weekly or monthly blog posts always brings in traffic to your page. Using keywords in your blogs helps customers find what they are looking for online, and hopefully, it’s you! Get straight to the point right away, people won’t stay on your page if they have to dig through your website to excavate an average price. Content that is spread out nicely, not too compact, and has colors that do not clash will help potential clients stay on your page longer. Even if the visitors to your website aren’t there to buy something from you, help them out! It makes you look good, and makes a potential future customer happy. Responsive websites have content that is interactive and can be read and scrolled through easily on many different devices. These website designs only use HTML and CSS codes, and can be viewed on any device and still look beautiful. To upgrade your website to a newer, better, faster version of itself while bringing in more customers, call Art Unlimited to discuss a plan to get your website bringing in money again.